Perhaps it’s silly of me, but I actually work pretty hard to not be a “piano diva.” I have many reasons for this but in all honesty, my biggest motivation behind my efforts is that I actually kind of enjoy the odd challenges and obstacles that arise when I’m not very piano diva-y. I’ve played on tons of out-of-tune pianos, of course. Electric keyboards have been a frequent instrument at my disposal. Poorly regulated pianos are really quite amusing and are a good test of one’s short-term memory (which key was it that sticks out?). But sometimes my attitude has ended me up in situations that haven’t been quite as fun — Puccini arias on a small electric keyboard that didn’t have a sustain pedal; playing the organ part of Gabriel Fauré’s Requiem with a professional orchestra on a very good electric keyboard organ, but one with neither a sustain nor full range of keys; a severely out-of-tune piano that also had several missing black keys… That last one was at a jail, which made the experience even more noteworthy (pun completely intended). A few weeks ago, I was asked last minute by a friend I haven’t played with in a while if there was any chance I could fly out to Lake Tahoe to play a cello recital with her, full of repertoire that I absolutely adore. Of course I had to say yes! I love, love, love pinch-hitting… almost as much as I love trying not to be a piano diva. As I was preparing to fly out there, the cellist asked if it would be all right with me if we just rehearsed at her house the night I arrived — that she’d have a good keyboard available to use. I think you can guess my answer. When I got there, we rehearsed using the keyboard. It was an older keyboard that was touch sensitive, but not in the way that keyboards today are touch sensitive. But it didn’t really bug me. Remember, I enjoy little challenges like this. I was pretty quick to discover that it all had to do with the speed at which I pressed down the keys. The faster I pressed down, the louder it was. The trick was to play a fast passage quietly. Try that sometime! It really is quite fun! At the end of the evening, my friend asked what I wanted to do the next day (the day before the performance). Did I want to drive all the way to Tahoe, about an hour away, to rehearse in the church on the piano or should we just continue to rehearse at her place. The day of the performance she asked when I thought we should get to the church. In my non-diva fashion I said: “If we get there an hour-and-a-half or so before, that should be fine.” After all, I didn’t want to get in the way of any church activities that might be going on. We get to the church and as I’m warming up, I notice a couple of keys sticking. Not just sort of sticking… seriously sticking! Non-diva Erica thought, “No problem, I can deal with this… maybe.” We rehearsed just a tiny bit and pretty quickly, I realized that my attitude was not a good thing in this situation. I immediately switched gears and did the first thing I could think of… call my piano technician from Virginia, who was at that moment driving to New York City. After trying a couple of tactics he gave me, I thought we had fixed the situation so I ended our conversation and went backstage to get ready. The second piece was Arvo Pärt’s “Spiegal am Spiegal,” ten minutes of exquisite minimalist beauty. While the cellist was talking to the audience about the piece (fortunately that took a few minutes), I made a few more attempts at pushing back on the action. I glanced up at the music and at that moment it dawned on me how many notes in the music where ones that were notes that were sticking. At that moment, I have to admit I started to sweat. But I was determined to make it work and to make it work in such a way that the audience wouldn’t be distracted by what was, or wasn’t happening at the keyboard. Thankfully, there aren’t a lot of notes to play and the left hand has lots of time to serve as the key-picker-upper. Believe it or not, we made it. How well did it come across? I have absolutely no idea. What I do know is that the minute they stopped clapping I was back on the phone with my technician, asking him for reassurance that if I took the piano apart and removed that wood strip in front of the keys, the action wouldn’t drop out of the bottom of the piano. He said it would be fine, gave me some pointers so that I didn’t accidentally rip off key tops, and within minutes, we were all set. It’s ok to not want to be a piano diva, but it’s wise not to take that too far! 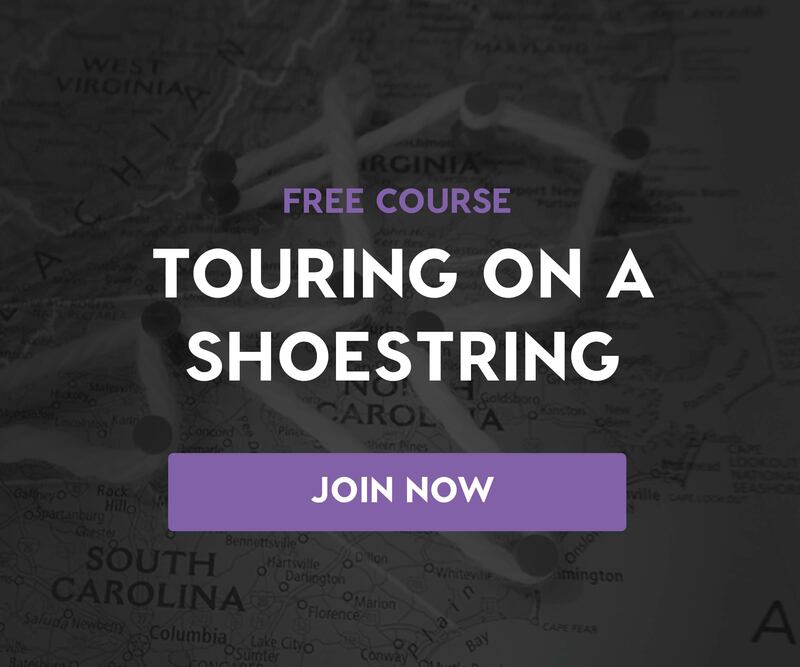 If you’re inspired to start composing and arranging your own music, check out a few of our most popular six-week Mentored courses, Orchestration for Strings, Unlocking the Emotional Power of Chords, and Introduction to the Composer’s Craft, and learn to write for orchestras and ensembles large or small with the help of a personal Mentor like Ian. Preview each course for free! Erica Sipes has spent most of her musical time as a piano collaborator, playing with and coaching musicians who play just about every instrument. Her passion is helping musicians at all stages discover how to approach music, practicing, and performing in a way that leaves them empowered to make their own musical decisions, encouraged, and excited to share their talents with others.